The building is named The Hobelin House or even called The Sundström House in the Pollux Quarter at Skeppsbron 22 in Stockholm. The Hobelin House was built in 1670 most probably based on the famed architect Nicodemus Tessin’s blueprints, for the merchant Johan Paul Hobelin. In the year 1767 the building was refurbished and redone in the style of the era for the then owner, Eric Osterman, a merchant and ironmonger. The blueprint of the facade is signed by no less than the famed city planner and architect, Johan Eberhard Carlberg. After 100 years in 1857 a total moderinisation changed the appearance of the building. The architect responsible for this was Johan Fredrik Åbom. Another renovation in 1924 gave the building its’ present appearance. In 1909 Nyman & Schultz moved into the building after having had their business in several other buildings on Skeppsbron. The shipping companys passenger department was then directly to the right of the entrance with windows overlooking Skeppsbron and Skottgränd alley. Further inside, lay the Finnish shipping department. Between these 2 departments lay the Suomibyrån, who on March 1st 1926 opened their doors to the public. 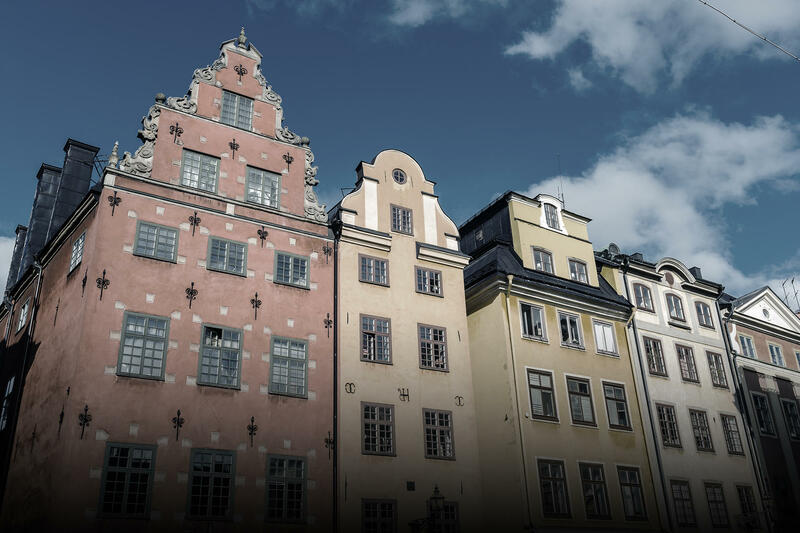 The Suomibyrån was the first ever foreign turist office in Stockholm and all of Scandinavia.